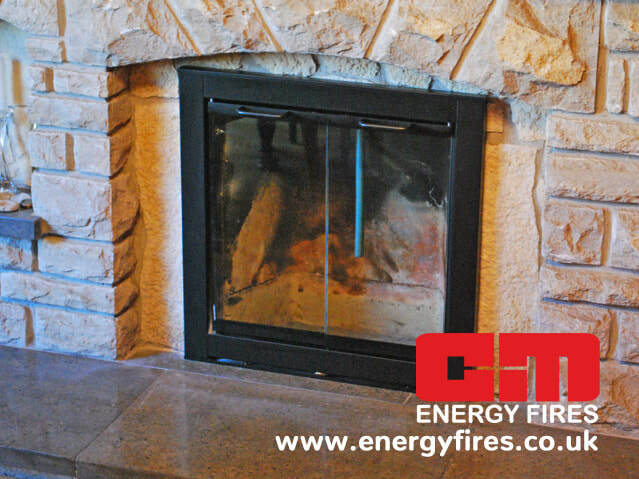 We have been selling Glass Fireplace Doors for over 30 years. The doors conform to U.K. Regulations with regard to materials and other requirements and have been supplied to the National Trust and many stately homes, castles, hotels, restaurants and public houses as well as ordinary homes. We were trained by Shell-Mex in domestic heating before launching our own company selling these doors in the U.K. and worldwide. We advise trade associations and the general public on domestic heating problems. In the last 34 years we have successfully solved many problems due to incorrect size of flue, over large fireplace opening and air demands from domestic chimneys, extraction fans, adjacent trees, down draught, etc. See-through fires usually give problems. 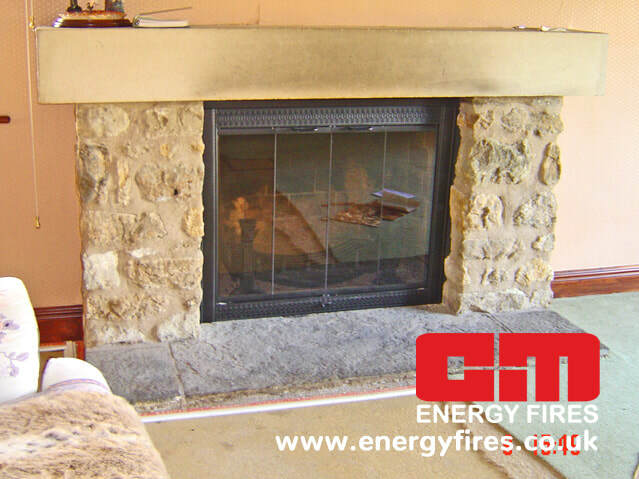 We provide an increasing number of fireplace doors for these fires, which are then run successfully. As part of our service we endeavour to visit when required or advise from photographs and drawings before construction is possible. All our doors are made to our specifications here in the U.K. They are all made from 1.5mm stainless steel, laser cut and de-burred before being finished in brushed stainless steel, or powder-coated Satin Black, but again we can meet special requirements. The glass which is guaranteed for three years, is 6mm thick and surface toughened in accordance with BS5 6206A. All four edges are round ground to avoid nicks which could cause glass breakage, and are etched with the relevant BSS No's on their leading edges. We are based in Huntley, Gloucestershire.